The perfect words to describe the benefits gained when your workforce chooses Honeywell solutions for the toughest jobs in the warehouse, distribution center or on the manufacturing floor. Purpose-built devices mobilize your workforce, keep downtime to a minimum, and increase customer satisfaction with fewer errors, greater visibility, and on-time delivery. For reliable performance in an industrial environment, Honeywell designs the most durable printers on the market. Built to withstand the harsh demands of a factory or warehouse, each Honeywell printer has the fastest throughput in their class. For more information and a recommendation on the right industrial, desktop, mobile or RFID printer that would work best in your application, contact us today for a free consultation. When it comes to operating a mobile device in an industrial environment, a consumer device just won’t do. From tall shelves and tight corners to concrete floors and multiple users, consumer smartphones and tablets won’t stand up to the demands of a fast-paced factory or DC. Honeywell mobile computing devices are designed specifically to stand strong in tough applications. Many models support multi-modal operations as well, allowing for hands-free workflow processes to increase throughput and ensure order accuracy. For fast-paced environments requiring intense scanning applications, Honeywell handheld scanning devices operate with workhorse reliability – even when scanning poorly-printed or damaged barcodes. From commercial scanning to industrial or long-range scanning, Avalon can help you choose the right solution to improve workforce performance and eliminate errors associated with manual processes. Why waste time with an inferior scanning device? Choose one that most closely matches the rigors of your environment. Knowing which label type and material will work best when affixed to your assets, inventory items, storage shelves or location bins can have a huge impact on productivity and cost to purchase. This is particularly evident if the label you are using is ill-equipped to stand up to the item to which it is adhered. Whether you need just the right off-the-shelf label or one that is custom-designed just for you, our media team has the experience to guide you in the right direction. Managing pre-printed stock can be a challenge to manage on a daily basis. 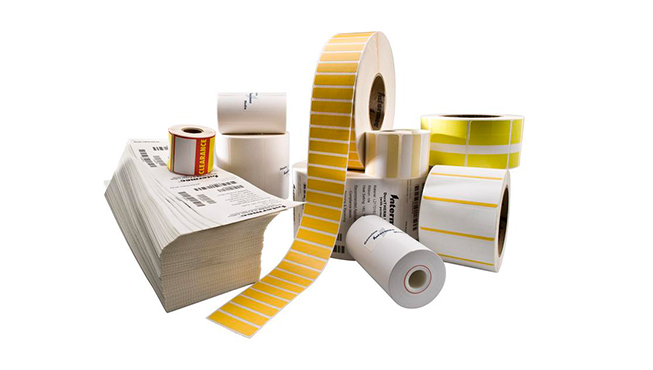 Our pre-printed label service provides you with peace of mind; we keep an inventory of your label requirements and manage your usage so you never have to worry about running out. For picking and put-away operations, knowing where inventory items are located can mean the difference between unnecessary errors and greater operational efficiency. The right location labels can have a huge impact on worker productivity when they can be assured the right items are in the right location. We’ve helped dozens of businesses get their warehouses organized simply by creating a manageable strategy. From design to supply to installation, we’re here to help. Whether you’re not sure what would work best in your operation, or if you’re looking for a particular Honeywell model or solution, but don’t have the implementation expertise or bandwidth, we are a provider with vast experience in industrial applications to put together an entire system based on your requirements. More of a do-it-yourselfer? We can also recommend software, hardware and network options we know will work great for you. Contact us today and get started!